Selecting flooring for your living room can be a challenge. Lucky for you, the design experts at Kermans Flooring in Indianapolis are ready to help. Probably the most popular floor covering for Central Indiana living rooms, carpet is something all homeowners should consider. There's no doubt about carpet's benefits: it brings instant warmth to a room - literally and figuratively. It is an economical choice and comes in a wide variety of styles and colors. Cut loop, level loop or frieze carpet styles are all good at standing up to high traffic. And today's manufacturers have built in excellent stain resistant qualities. Learn more about carpet options in our online Carpet Buyer's Guide. Initially, you might be afraid to consider hardwood because of concerns about care and noise level. Put those concerns aside. Today's hardwood is manufactured to stand the test of time. It's easy to maintain and an excellent choice if you have any concerns about allergies in your home. There are also some lesser-known wood varieties that might be a perfect fit in your home. 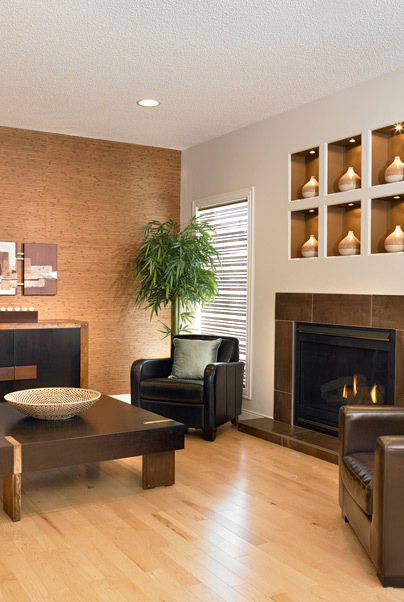 Consider cork or bamboo for some environmentally friendly hardwood options. Still worried about noise? Add an area rug to help muffle sounds and add a touch of warmth to the room. Learn more about hardwood in our online Hardwood Buyer's Guide. Surprised to see tile on the list? Don't be. The textures, colors and patterns of tile lend themselves beautifully to a living room. 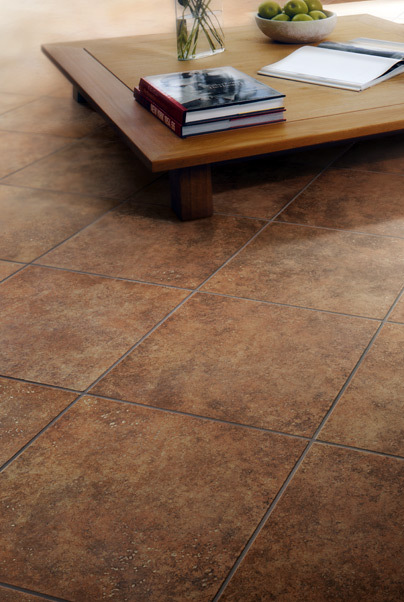 Traffic wear, spills, and maintenance are never a concern with tile. And you can get more creative with tile to really let your personality come through. Concerned about noise or the feel of tile on a cold winter day? An area rug is the perfect way to tie the room together and give your feet a little something cozy. Learn more about tile in our online Tile Buyer's Guide. Visit the Kermans showroom in the Castleton area of Indianapolis to see these flooring options and more. Talk to our free designers about your home style and explore a variety of options for your living room.